Can you identify the woman in this photograph? 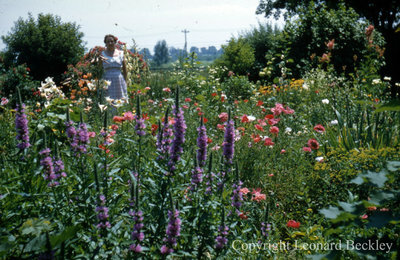 A colour slide of an unidentified woman standing in the garden on the east side of Leonard Beckley's house. Leonard Beckley's Garden, c.1977, Leonard Beckley. Whitby Archives A2014_004_262.